Will I be the right therapist for you? Looking for an experienced therapist? Are you struggling with some aspect of yourself or your life that you are finding difficult? Have you recently lost a loved one through a personal bereavement or the traumatic breakdown of a relationship? Are you feeling trapped in a job or a relationship that you no longer find satisfying and that you feel you cannot escape? Are you feeling stressed, anxious, depressed and/or generally unmotivated to do the things you would really like to do? Or are you feeling that something is wrong with you or your life but you cannot figure out what this is? Whatever problem you need to resolve, help is at hand. By sharing your innermost thoughts and feelings with an experienced practitioner in a safe and confidential setting, you could be embarking on a very meaningful journey of self-discovery that leads you towards peace of mind. Here you’ll find a list of issues I can help you with. I discuss the fees I charge for any of the services I provide at the initial point of contact. My fees are very reasonable. In my professional practice as a UKCP Registered psychotherapist, I adhere to the Codes of Ethics and Professional Practice Guidelines set down by the UKCP and by my Member Organisation, the Northern Guild for Psychotherapy and Counselling. These Codes can be found on the following Websites: www.psychotherapy.org.uk and www.northernguild.org. I provide clinical services to adults (individuals and couples). I am also a recognised provider on BUPA’s Mental Health and Wellbeing Network. I provide psychotherapy and counselling in Middleton-on-the-Wolds and the surrounding towns and villages of North and East Yorkshire. My private practice is based in Middleton-on-the-Wolds, a small rural village in East Yorkshire that can be accessed easily from York, Pocklington, Beverley and Driffield. Training packages can be provided, these being tailored to the unique and individual needs of enquiring organisations. Counselling for individuals with BUPA health care insurance. 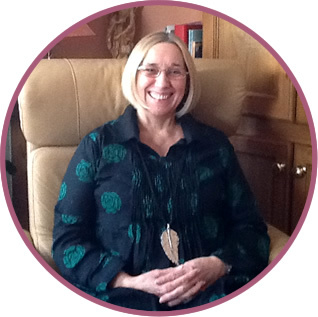 I am experienced in providing interventions in the public and private sectors; these including Social Services Departments, NHS and University settings, privately funded residential children’s homes and educational facilities. Do you need a Psychotherapist in the Driffield area?